Do this myself? Anyone have ideas? 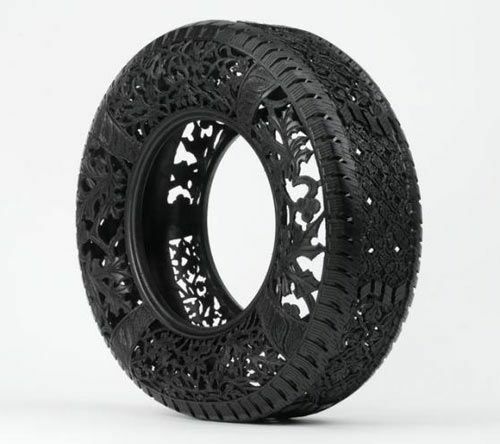 I have old tires I'd love to do this to. The wore out pro comps? Aren't they steel belted, or no? I meant the actual carving. I'm thinking a dremel would work. There is carving in the treads too. But.....is steel belting only in the treads? I'm curious also. I've seen a lot of them on pinterest.